Etched Traumas is more than happy to release the latest work titled ‘Synthetic Cognition’ of Audraulic the experimental electronic outfit created by Jez Mond. Audraulic uses both analogue and digital synths, along with field recordings (most of which will be heavily manipulated) to create large encompassing soundscapes with the focus on an active and mobile mix. Jez has been influenced by many styles of music. He began by listening to and composing Grindcore music back in the late 80’s. Having played guitar in a few bands, he then discovered acid and electronic music. This radically altered his perceptions and opened his mind to new styles of music, including Ambient music and most importantly Tangerine Dream. Jez now listens to predominantly Ambient and Electro music, but also loves a good soundtrack (Jon Hopkins, Cliff Martinez, David Julyan, and not forgetting the Classic Vangelis Blade Runner soundtrack). 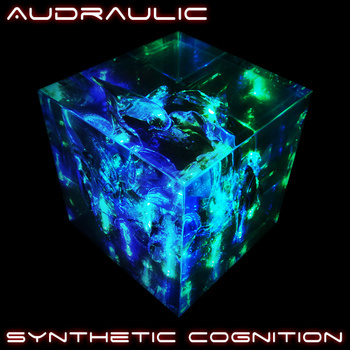 Audraulic’s sound is a reflection of these styles and is therefore quite eclectic, having no fixed style or genre, but is mostly dark in its nature. All Audraulic tracks are written, performed and produced by Jez Mond, who lives in Dubai. Written, performed and produced by Jez Mond. This entry was posted in News and tagged ambient, Audraulic, Cognition, Dubai, electro, soundscape, UAE, UK by bsom. Bookmark the permalink.